Saxifraga burseriana – This charming species is probably the most popular in the whole of the Porphyrion group. 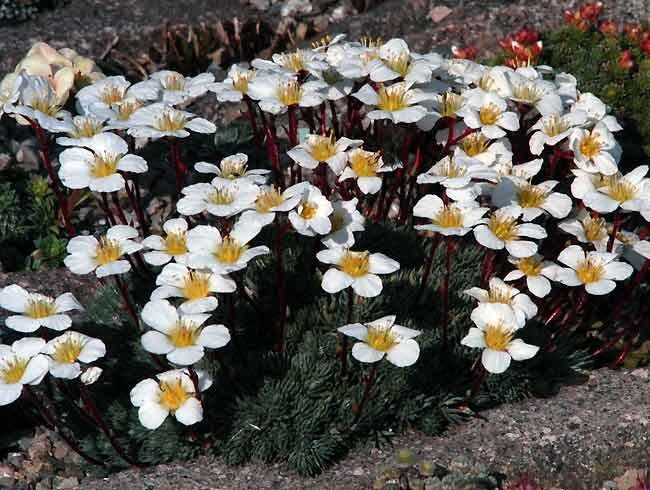 Burser’s Saxifrage comes from the Southern and Eastern Alps, and has been grown in the gardens since the year 1826. It is an extremely variable plant, both in its foliage and flowers.